Yamaha Motor Corp. U.S.A. announced Dec. 1 that it was discontinuing production of Century Boats, effective immediately. The company had 63 full-time employees. 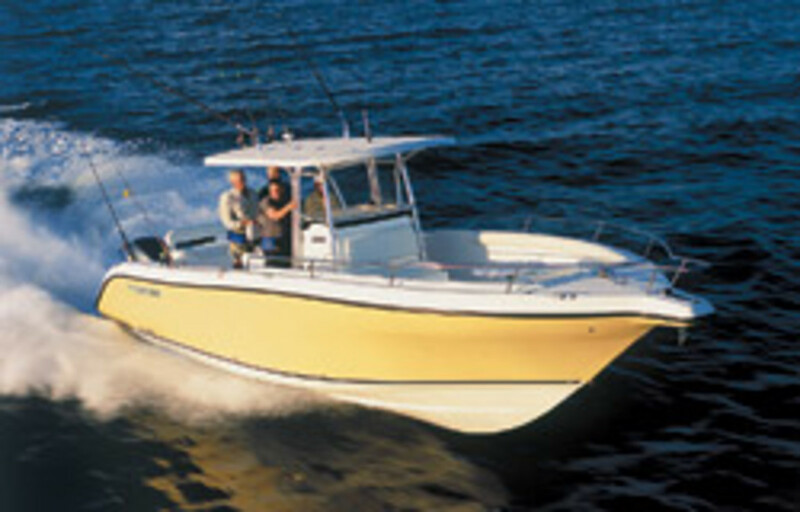 "The Century brand has a long history in the marine industry, and the decision to discontinue production was difficult to make, but market conditions have made it difficult to sustain an acceptable level of performance at the Panama City [Fla.] based facility," says Phil Dyskow, president of Yamaha Marine Group and Century Boat Company, in a statement. Century has seen its wholesale and retail sales decline sharply during the last 12 months, according to the statement. The company vows to continue to provide its dealers and customers with parts and service and will honor warranties through its existing network of dealers. The company has 45 dealers in 18 states. Yamaha purchased Century in 1995 as part of a plan to grow market share for its outboards in the offshore category. Annual sales for Century peaked in 2007 at more than 1,000 boats. Yamaha also owns Skeeter Boats, of Kilgore, Texas, and G3 Boats, of Lebanon, Mo. Skeeter and G3 are not affected by the decision, the company says. Laid-off employees at Brunswick&apos;s Palm Coast, Fla., production facility were recalled recently as the company prepares to ramp up production of the Meridian Yachts brand. The facility currently employs 265 people building Meridians from 40 to 47 feet, and Sea Ray sport yachts from 39 to 50 feet. Employment was reduced by more than 40 percent during the last year as production declined. However, the majority of displaced workers have been contacted and offered positions at the plant, the company says. There are also plans to hire additional new employees in the coming months. Meridian Yachts&apos; sales have been down this year. In support of Brunswick&apos;s emphasis on reducing the supply pipeline, Meridian&apos;s wholesale shipments and production were reduced by an even greater percentage than the drop in retail activity. "We have been committed to helping our dealers reduce their inventory over the last year and to helping them establish sustainable business models going forward," says Rob Parmentier, president of Sea Ray Group, which includes Meridian Yachts, in a statement. In other news, Brunswick recently completed an open-market purchase of approximately $85 million of its outstanding 11.75 percent notes due in 2013. It purchased the notes for about $97 million, excluding accrued interest. This action is in line with the company&apos;s objective of reducing its near-term debt maturities to enhance its financial flexibility. Standard & Poor&apos;s Ratings Services revised its rating outlook on Brunswick in December from negative to stable. Ratings on the company, including the B- corporate credit rating, were affirmed. Donzi Marine in early December reported an increase in retail sales. "There&apos;s been a notable surge in retail activity over the past few months," says vice president of sales Craig Barrie. 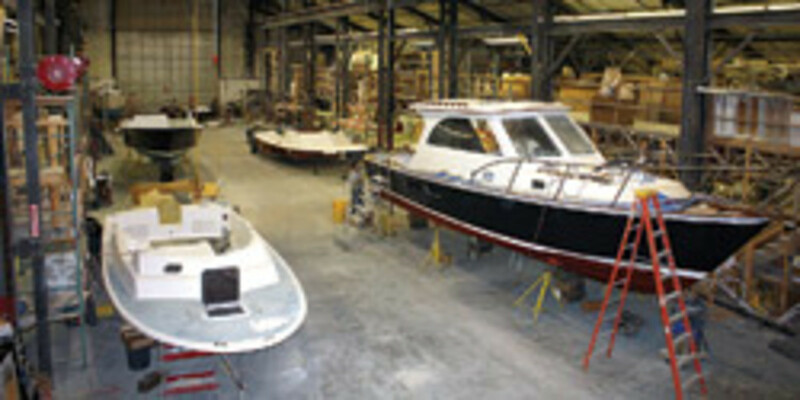 "From Web traffic to boats built and delivered, we&apos;ve charted a substantial increase in interest as well as demand." Donzi experienced stronger-than- expected traffic at the Fort Lauderdale International Boat Show and inked a number of retail deals at the late-October event and in the weeks to follow, the company says. Sales have been fairly evenly split between new builds and retail deliveries of dealer field inventory and factory stock, according to Barrie. "There are four new units on the floor that need to get shipped before Dec. 17 for their customers. These boats are all sold," Barrie told Soundings Trade Only in early December. "We have shipped three others out in the last 10 days. In the factory there are still three orders that will complete in early January. "Usually this time of year is slow when the economy is good. Now with what is going on in our industry, I feel strong about our product," he says. Barrie indicated that the bulk of retail activity has focused on boats 35 feet and larger and that most of it took place in the United States, and in Bahrain, Canada and Mexico. Several manufacturers ended 2009 with positive industry news. 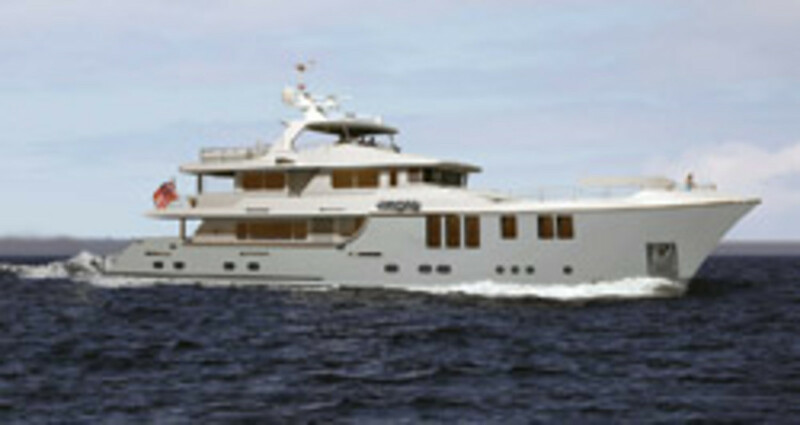 Pacific Asian Enterprises announced the sale of its first Nordhavn 120, which has a scheduled delivery date of April 2012. "Our 35 years of experience in designing and building over 800 oceangoing yachts has prepared us for this exciting moment," PAE president Dan Streech says in a statement. The yacht, to be named Aurora, was commissioned by a three-time Nordhavn owner who previously owned 62-, 76- and 86-footers, the company says. Hull No. 1 is being built at Pacific Asian&apos;s new partner factory in Xiamen, China, which is designed to accommodate the N120 production line. Construction is expected to start in January. In a market where most boatbuilders have scaled back model introductions, Hunt Yachts greets 2010 with three new hardtop coupes, all with deep-vee hulls designed by C. Raymond Hunt Associates. A Surfhunter 29 Coupe was launched this past summer in Newport, participating throughout the sailing season as a chase boat for several major sailing competitions. The first Harrier 36 Hardtop Coupe was launched and christened Nov. 6 for a passage to her winter home in the Bahamas. Harrier 36 hull No. 2 will be built this winter for a New England launch in the spring. The company reports that a tough stretch in terms of sales ended abruptly with recent sales of a Hunt 52, Harrier 36, three Harrier 25s and a Surfhunter 25 center console. MasterCraft is recalling more than 70 employees, the company announced in November. With the recall, MasterCraft will now have a total work force numbering roughly 325 employees. "The increase in production is reflective purely of domestic and international dealer demand," says John Dorton, president and CEO, in a statement. "Because we worked hand-in-hand with our dealer network over the last several months to help them balance existing inventory, we now have reached a point where our dealers need new boats. As a result, we are increasing our production run rate to meet this demand." Regal Marine is hiring 100 workers this fall and said it will open a showroom where shoppers can check out its boats before buying. The showroom is part of a corporate marketing campaign designed to boost sales through retailers who no longer can afford to stock large numbers of unsold boats, according to an article in the Orlando Business Journal. Regal cut 200 of its 400 workers last year as sales fell. 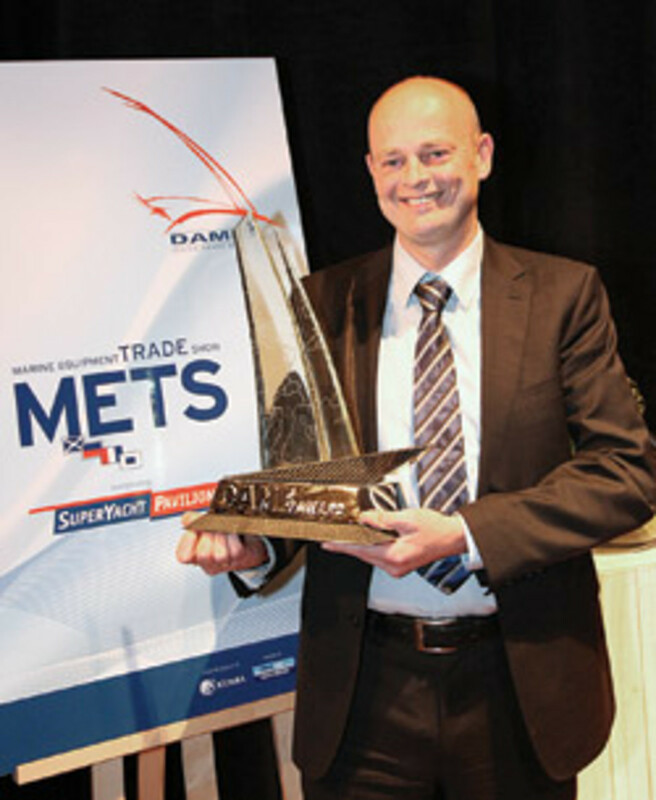 The prestigious DAME award was presented to FLIR Systems at the start of the Nov. 17-19 Marine Equipment Trade Show in Amsterdam, Netherlands. "The overall winner of the DAME Award 2009 is FLIR Systems for the M-626L Series Thermal Night Vision System," reads a statement from the jury. "The judges were impressed by the unit&apos;s sleek design, Ethernet capability, and ease of installation by any OEM. While the cost is relatively high, the jury felt that the unit provides user satisfaction beyond anything currently on the market." Dometic Marine was honored with the Presidential E Star award for sustained excellence in exporting. Only 21 companies nationwide received either the E or E Star banner this year. Dometic was one of only four to receive the E Star award. The awards were presented in by U.S. commerce secretary Gary Locke. "I&apos;m a great believer in the ability of American companies and workers to compete anytime, anywhere in the world, on a level playing field," Locke says. In other news, METS will be supported by the International Council of Marine Industry Associations until 2014. ICOMIA has also expressed interest in supporting the event into the future, recognizing METS as the world&apos;s largest trade show for the marine equipment industry. The agreement is a renewed cooperation contract. The first marine loan was issued in November under the Small Business Administration&apos;s Dealer Floor Plan pilot program launched early in 2009. Tennessee-based Cleveland Boat Center finalized its loan with long-time SBA lender Citizens National Bank of Athens, Tenn., the National Marine Manufacturers Association reports. 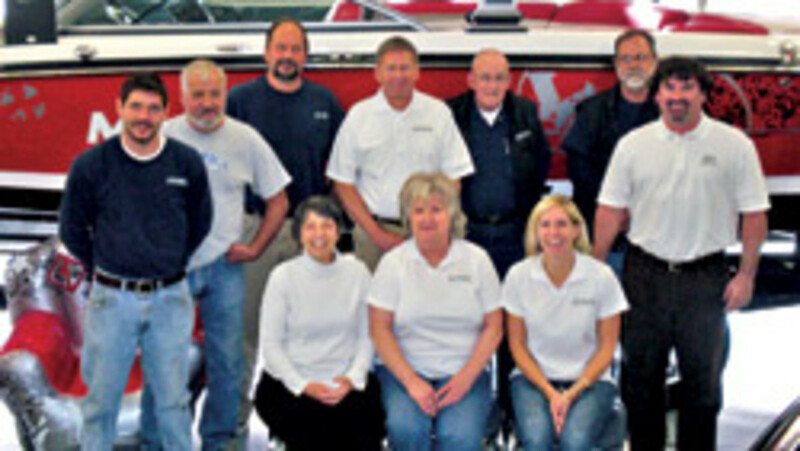 "Our SBA loan has provided our business with manageable terms and increased flexibility," says Randy Wattenbarger, owner of Cleveland Boat Center, in a statement. "It&apos;s helping us preserve jobs and keep boats available to local boaters at a price they can afford." In another encouraging development, GE Commercial Distribution Finance brought more than $500 million in securitized floorplan loans to market partially under the Term Asset-Backed Securities Lending Facility, or TALF. GE previously brought an initial $500 million in floorplan loans through TALF to market in early August. The SBA program is slated to end Sept. 30, at which point SBA will decide to either extend the pilot, end it or make it a permanent part of SBA&apos;s lending programs. Wisconsin Gov. Jim Doyle announced in November the state incentive package to keep Mercury Marine in state totals $70 million through a combination of tax credits, grants and forgivable loans. The local incentive package includes $3 million from the city of Fond du Lac. These funds will be provided to purchase land owned by Mercury Marine and/or in the form of forgivable loans and grants from the City of Fond du Lac and its agencies. Up to $50 million will be available in the form of low-interest, performance-based, collateralized loans from Fond du Lac County with guarantees provided by both the city of Fond du Lac and the county. The loan proceeds are to be used for new engine development; the relocation of some of the Stillwater, Okla., manufacturing positions to Fond du Lac; and a retirement incentive payment to union workers. "Mercury Marine is an iconic Wisconsin company that has provided jobs and investment for this area for more than 70 years," Doyle says in a statement. "Retaining the company and its nearly 2,000 jobs in these difficult times took hard work and cooperation."